Prime Minister Narendra Modi on Thursday launched his pet "Make in India" campaign to put India prominently on the global manufacturing map and, in turn, facilitate the inflow of new technology and capital, while creating millions of jobs. The ambitious scheme, that also puts in place the logistics and systems to address in a timely manner queries of potential investors, was unveiled along with a logo, a portal and brochures on 25 identified growth sectors before Who's Who of the corporate world from India and abroad at the Vigyan Bhavan conference complex in New Delhi. The event was watched live in several cities in India and abroad via video conferencing. Laying out the red carpet before investors, the prime minister said: "After what we have done and what I hear from you, I don't think I need to assure you any further on 'Make in India'." He hoped industry across the globe will take his invite seriously. He said he was saddened in the past to see scores of Indians leaving the country to seek opportunities elsewhere. People have lost faith in Indian manufacturing and themselves. "We do not want any industrialist being forced to leave India," he said. 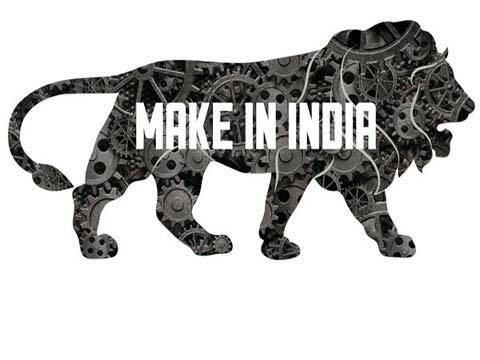 Pointing to campaign logo, he said: "This is the step of a Lion… Make in India." Ahead of the launch of the campaign, Commerce Minister Nirmala Sitharaman said a number of steps had already been taken by the Modi government to make it easier to do business in India along with the removal or relaxation of foreign equity caps in several areas. "The processes of applying for licences has been made online, it is 24/7. The validity of such licences has also been extended to three years," Sitharaman said, adding several norms and procedures have also being changed to make it easier to do business in India. The other speakers included Wipro's Azim Premji, Aditya Birla Group's Kumar Mangalam Birla, ICICI Bank's Chanda Kochhar, Lockheed Martin's Phil Shaw, and ITC's Y.C. Deveshwar.